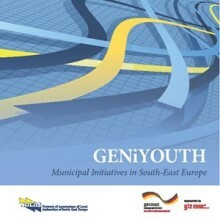 At its tenth General Assembly, held in Plovdiv on 18 May 2015, NALAS organized the GENiYOUTH Gender and Youth Municipal Initiatives Awards, for best practices in gender and youth mainstreaming at local level. These initiatives are a true example of local government and local government commitment to create a better and more equal world for all. These best practices enrich NALAS knowledge centre in the Gender and Youth area and we hope that they will serve as motivation and inspiration to other municipalities to implement activities that will strive to ensure inclusion of all citizens in local government issues. In the Publication below, you will find all initiatives that took part in the competition. Out gratitude goes to all the mayors who supported activities for gender and youth in their local governments and their dedicated implementation teams; to all municipalities for submitting the practices to NALAS and agreeing to their publication and dissemination; NALAS Focal Points on Gender and Youth and NALAS Knowledge Management Assistants who worked hard to implement the GENiYOUTH activity.